Comment: Need a concrete slab mud jacked. Approx. 280 square feed. Comment: 20x30ft patio. Gray stamped with poured steps raised. Green Bay Concrete Contractors are rated 4.75 out of 5 based on 91 reviews of 13 pros. 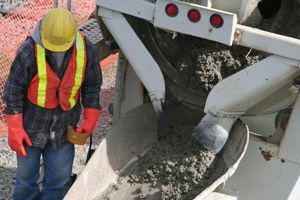 Not Looking for Concrete Contractors in Green Bay, WI?